This is Petronella Channing, but everyone knows her as Pat (That’s my dad, Dave in the pic with her). Mum was born in Broome and is from a very large family. Actually, I could have entered all my Aunties, but that would make a very large post! Mum is a hard working woman who runs a small tourism venture up the Dampier Peninsular called Mercedes Cove (Check it outwww.mercedescove.com.au). Named after mum’s mum (my granny) it is a very special place for our whole family. Mum (and Dad) have supported me and my brother and sister in everything that we do and I would like to her to know that although I don’t say it enough, I am truly thankful. 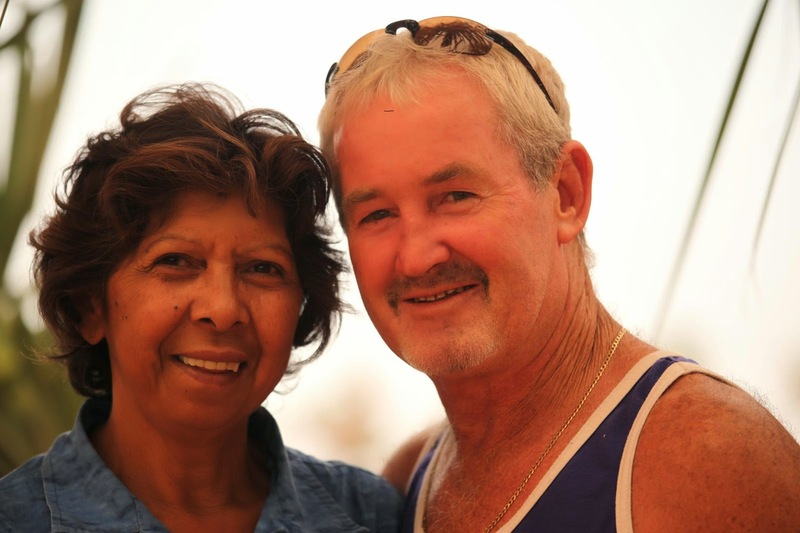 My mother is a quiet, yet strong Aboriginal woman. She is well loved in our community and is a rock for many people in times of trouble. Mum is very proud of her history, and is a testament to her own hard work and determination. She has had to overcome hardships and challenging times during her life, and has managed to do so with such grace, resilience and humility. She is everything that I hope to be as an Aboriginal woman.